Firstly let me just wish all the mums out there a very happy Mother's Day! 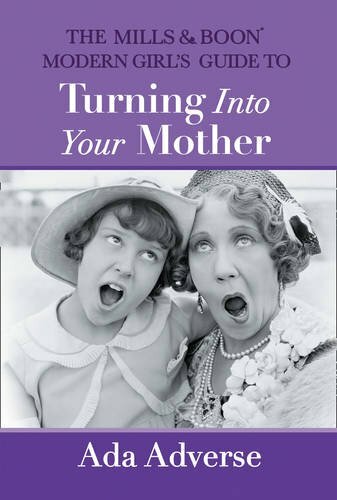 This book isn't so much a guide showing you how to turn into your mother (or how to avoid it!) but more likely a book that shows you that it's too late - it's already happened! This book is along similar lines to Penguin's Ladybird books for grownups collection where you have a vintage picture on one side of the page and an amusing caption to accompany it on the opposite. That makes it a very quick book to read cover to cover or you can dip in and out of it as the mood strikes you. I'm not a mother myself so I think some of the anecdotes missed the mark a little because of that but there were definitely things I was still able to relate to and I'm sure my Mum will find it even funnier. This is the kind of book that makes a great Mother's Day gift (I know my Mum will be receiving a copy today!) to any mums or grandmothers in your life and I'm looking forward to checking out more from the series.